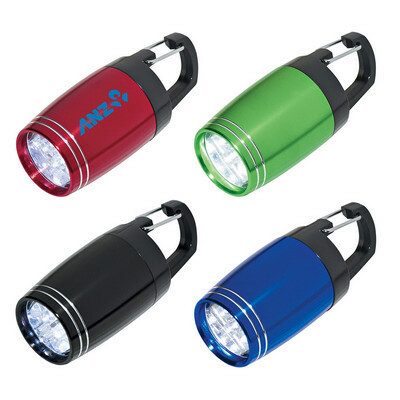 Features: Perfect for emergencies and easily attachable, those characteristics best describe this LED torch light. It comes in a body made from aluminium and has six white LED lights for low light situations. It also comes with a clip on top for easy attaching to bags or belts. The flashlight comes in four colours. Price includes : 1 COLOUR 1 POSITION PRINT. Setup is included.